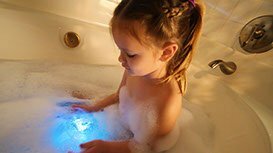 What do you think of this Party In The Tub Light? 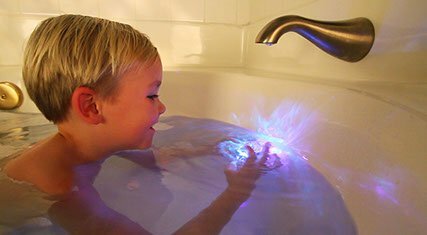 Light up the pool in your back yard, or just make your child's bath time more fun. • Turn it on! Drop it in! Let Bath Time Party Begin! • Watch It, Spin It, Dunk It, Splash it! Having Fun While They Wash! Find out more! ~~ Read the reviews!